Venezuela. The warm Caribbean waters off Gran Roque island, and the other islands that make up The Achripelago Los Roques National Park are ideal for spending anywhere from a day to a week on the beautiful Caribbean sea. 546 acres (221,120 hectares) – enough open water for you to spends weeks cruise around Gran Roque and the other islands of Los Roque. Los Roques, the types of Yachts can rent, and how much you can expect to pay. 27 foot (8m) bonefishing yachts, 50 foot (15 meter) ocean yachts designed to take you deep sea fishing in style and comfort. crew to run the boat, prepare your 3 meals per day, serve drinks, and more. 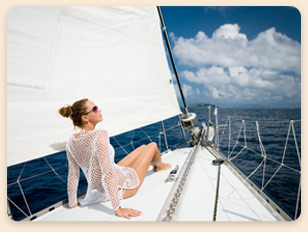 Cabin Yacht Charter: You can charter a single cabin on a yacht for you and your guests. instructors, or fishing gear to go deep sea fishing, or bonefishing. Powerboat Yacht charter companies on Los Roques Venezuela’s Gran Roque island will typically charge $155-$275 per person for a 24 hour yacht charter, depending on the time of year. For that price, your yacht will include a qualified and experienced captain, a great cook, a comfortable cabin to sleep, and 3 full meals, plus snacks per day. 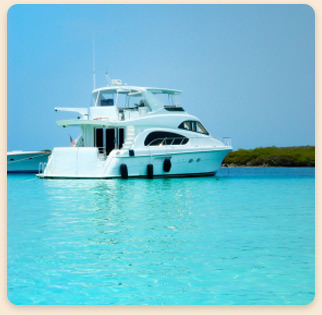 Some yachts charters in Los Roques also include an open bar at no additional cost.